Deal is back again! Great idea to get your kid’s phones out of their rooms. 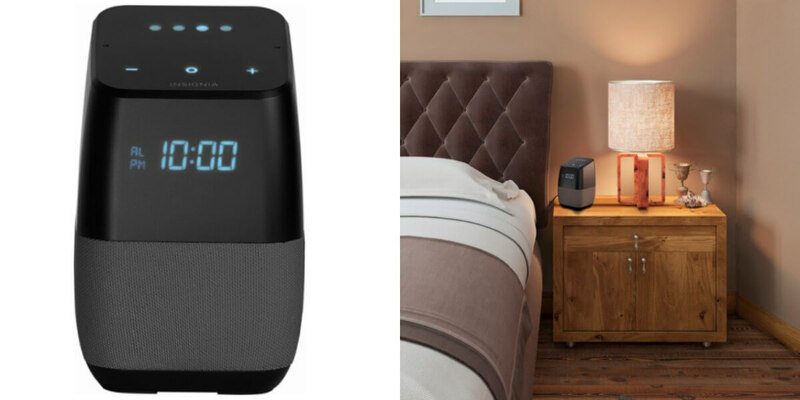 Get the Insignia Voice Smart Bluetooth Speaker and Alarm Clock with the Google Assistant built-in $24.99 (Reg. $99.99) Free store pick up or orders $35+ from Best Buy! Check out this portable one too for $24.99. Put your Insignia wireless speaker in any room where you want music and connect it to your home Wi-Fi network. With the touch of a few buttons, you’re ready to enjoy multiroom music. The speaker features a digital LED clock display and has a built in alarm clock.